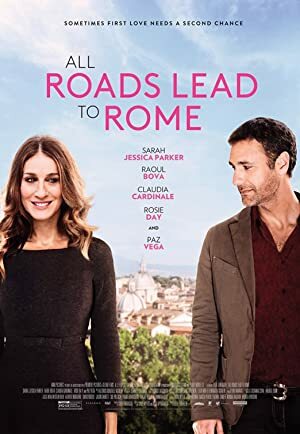 All Roads Lead to Rome (2015) – What's New on Netflix Canada Today! Maggie is an uptight, single mother and college writing teacher from New York City. In an effort to reconnect with her troubled teen daughter Summer, she decides to embark on a journey to a Tuscan village that she frequented in her younger days. Upon arrival, Maggie runs into Luca, a handsome former lover who is still a bachelor and lives with his eighty-year-old mother, Carmen. Summer (missing her “bad boy” boyfriend in NYC) and Carmen (secretly planning a wedding against Luca’s wishes to Marcelino, her one true love in Rome) impulsively steal Luca’s car and race off to Rome. Maggie and Luca quickly pursue allowing the two mismatched couples to spend some time together and develop a new understanding of each other.